Our pinable male dress form is covered in cream colored lycra fabric. 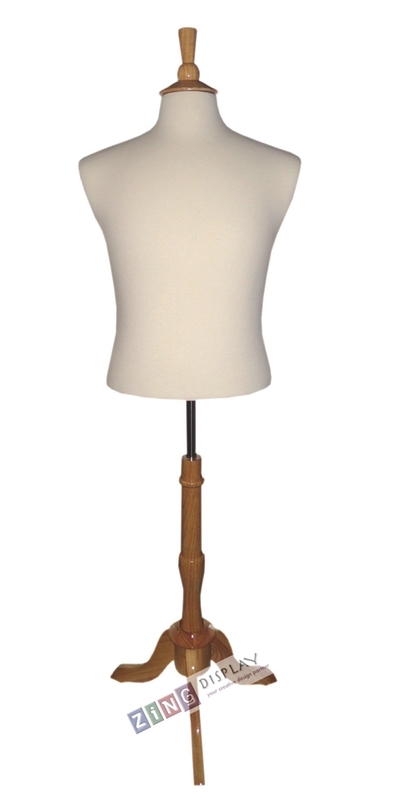 He comes with a natural wood finial neck block and a tripod base. Price includes a neck block and base.